Moving can be difficult. When you move requires going to a new state, though, that difficulty can be greatly compounded. While it is normal to be feel taken aback by the move, stabilizing your life quickly is always helpful. Below are three tips that will help you get your life back on track when you move to a new state. Moving boxes can be one of the greatest destabilizing forces in any new move. As long as those boxes are full or are in storage, you’re not truly ready to call your new state home. 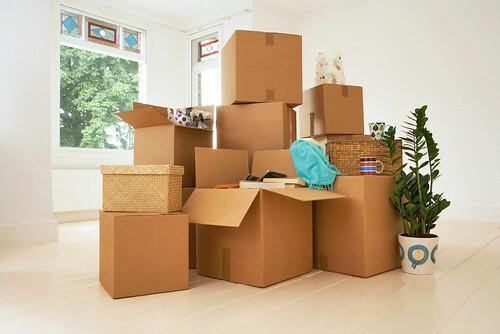 Instead of leaving your boxes to be unpacked as necessary, put some effort into getting it all done at once. Don’t worry about moving them yourself—get a moving service like Walsh Moving & Storage to get the boxes in your home quickly. The faster you unpack, the less you’ll have to worry about your boxes and the more time you can spend focusing on adapting to your new home. You’ll also need to start building connections if you want to stabilize your life in a new state. Consider getting involved in the community in some way. If you’re religious, try going to your appropriate religious community organization. If not, consider volunteering or even joining a gym. Once you have a space to which you can feel connected, you’ll stop feeling like your new home is so alien to you. In time, this single point of connection can blossom into something that will make your new state feel like home. No matter where you go, you’ll be able to find something that reminds you of your old home. While clinging to the past usually isn’t a great recipe for moving forward, having something that seems familiar is a great way to center yourself. Find a chain restaurant that you had back in your old home state or find a spot that reminds you of where you used to spend time. These can be great places to which you may return when things feel overwhelming or you feel like you just can’t adapt quickly enough. There’s no timetable for making your new home feel stable, but you can follow the advice above to speed things along. If you put in the effort, your new state will feel familiar in no time at all. Moving can be tough, but those who embrace the challenge may discover that new states bring with them incredible new opportunities.